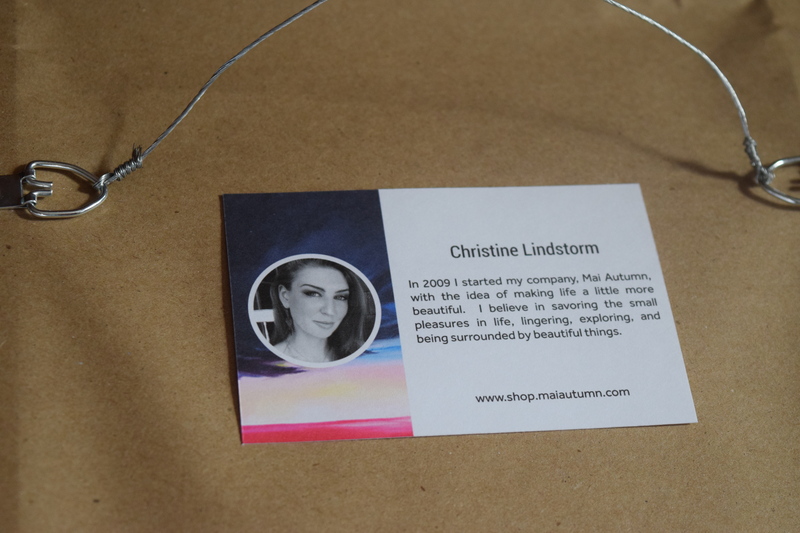 October 2015 Art Crate Review & $15 Off Coupon Code! I fell in love with the print in my first box and was interested to see what my second would bring. 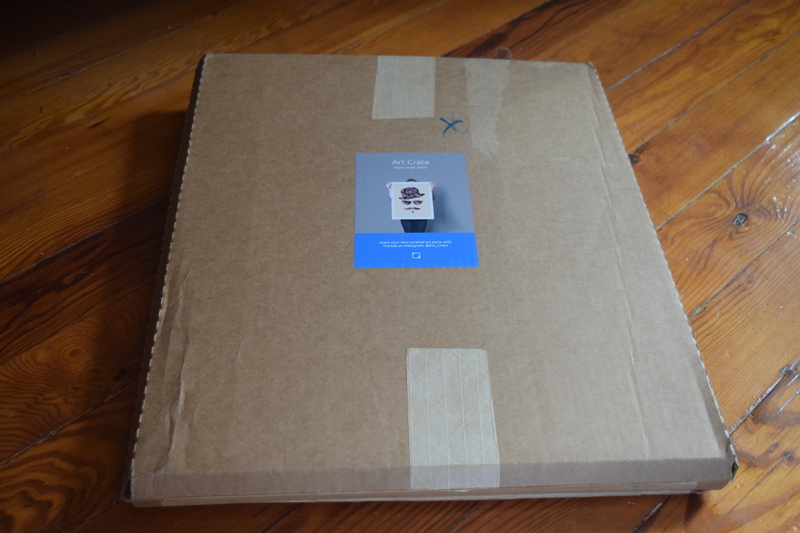 After you select your subscription type, Art Crate sends you an email with 3 prints you can choose from. I received my email and sadly none of the choices spoke to me. They just weren’t colorful or compelling enough for the look I wanted. I responded that I just wasn’t feeling them and voila, they sent me 3 new options, all of which I liked. I chose my favorite and waited. I chose this one so I knew I’d love it, but in person it’s even prettier. Dream-like images and surrealism tend to appeal to me and I’ve been trying to add more color to my Victorian era apartment that sadly gets very little light. You can buy this print and other lovely ones from Christine’s shop, Mai Autumn. I really like that Art Crate added the artist info right on the back of the piece. It makes it feel like a little gallery. With a coupon code, I paid $43.20 and the regular cost of this piece is $54.00. It’s definitely a bit pricey, but the frame is nice quality and I like learning about these great new artists. This isn’t a sub that I would subscribe to indefinitely, but I’m happy with picking up a few pieces to liven up my space. 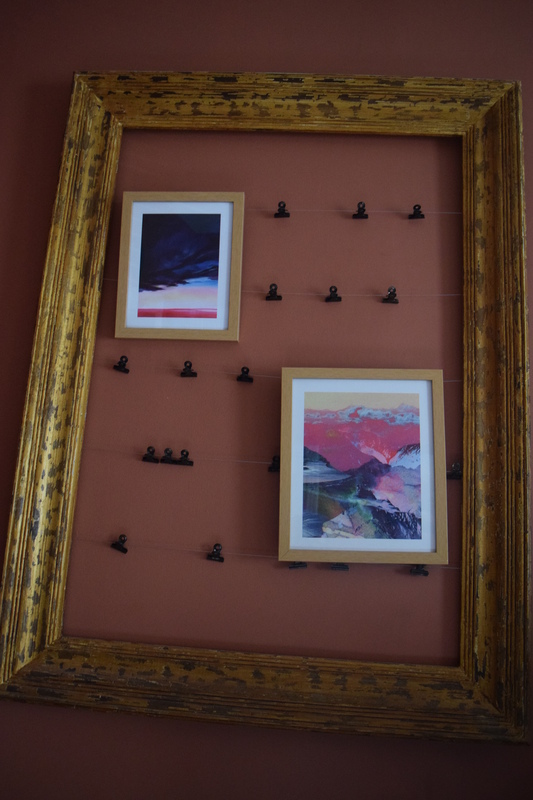 I’ve co-opted my fancy pants Christmas Card holder and turned it into a mini gallery. I may pin up some more cards around the framed artwork or put up some ornaments, embroidery or paper crafts. It really depends on what interesting things pop up in my path. 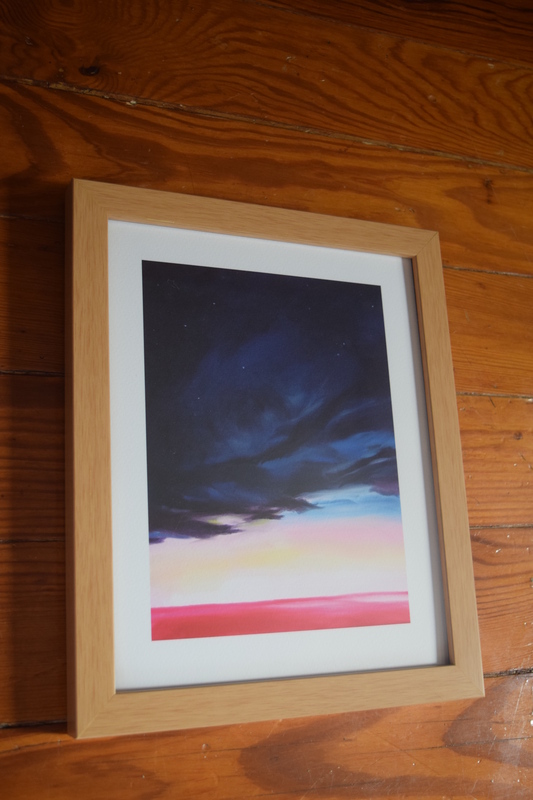 I’ll be getting one more framed print from Art Crate and then I think I’ll have enough for my project, so be sure to check back and see what art pops up for November. What type of artwork do you put up in your space? Sign-up for Art Crate and each month your personal curator will ship one hand-selected art print to your door. Professionally Curated: With 17 years of experience and the right tools, our curators have the perfect formula to choose the perfect art for your home. Satisfaction Guaranteed: Your happiness is our priority. If you are not satisfied with any of the hand-selected art prints that you receive, we will do what it takes to make you happy, guaranteed. 24/7 Customer Support: Our in house customer service team replies to every message we receive, 24 hours a day, 7 days a week. Art is shipped the 25th of every month. You can customize the frequency you receive art. Grow your collection at your pace. No Contract: Art Crate plans are month-to-month. We make it simple to start and stop your service at any time. If you click on the photo it should enlarge to give you a better view. 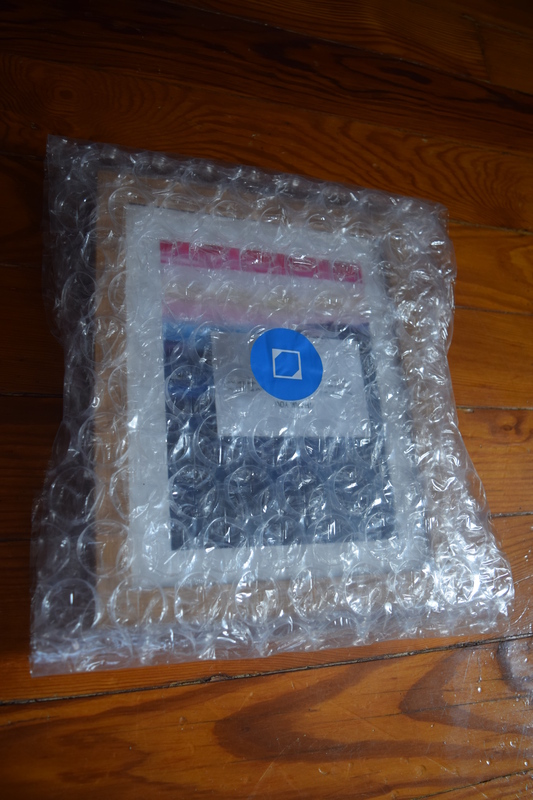 I’ve bought art online before and loved the pieces I received, but I chose them individually. It’s a little strange to trust someone else to curate, but it’s a fun experiment!